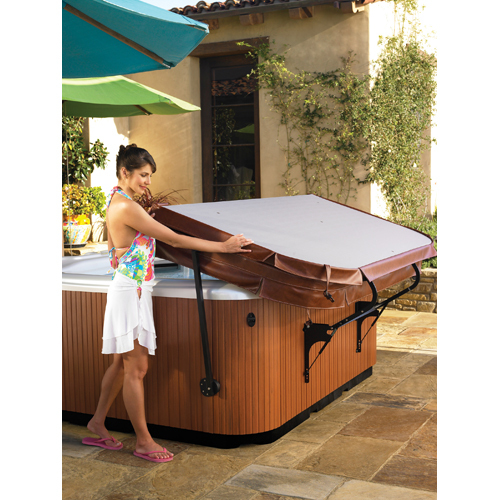 Hot tub cover lifters and swim spa cover lifters can be heavy and cumbersome for some. To make it easier to access your spa, we have a great selection of cover lifters available in manual and hydraulic assist models. These accessories are especially popular for one person entry. The cover is easily moved out of the way and stored snugly against the back of the spa without touching the ground or taking up needless space. After use, the cover is easily pivoted back into place, fitting snugly and securely. 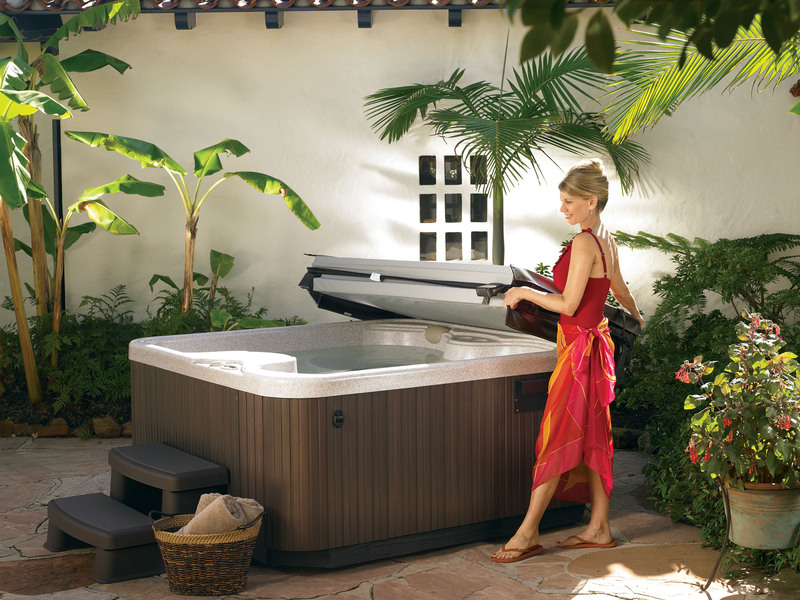 Some of the larger sized hot tub models require 2 cover lifts. In addition, not all cover lift accessories work with every model size or installation configuration. 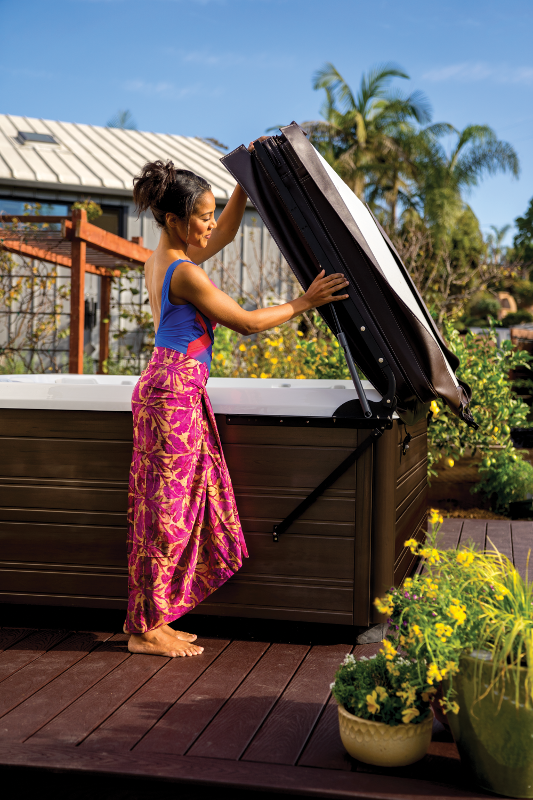 Please ask our sales staff to recommend the most effective and efficient cover lift options for your desired hot tub. Please use this form to receive a free brochure. You can schedule an appointment to visit our showroom and take a swim in one of our amazing Swim Spas. Or, we can send you a brochure and answer any other questions you might have. Warranty repairs, installations, heater diagnostic and repair, troubleshooting mechanical and electrical problems. Copyright © 2018 Florida Spa and Pool Warehouse. 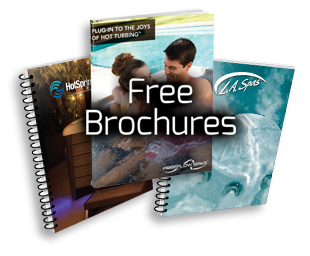 What type of brochure would you like?